Want to dress like Katniss Everdeen? Who can blame you?!?! Nobody. You have come to the right place, so keep on reading! Shirts/Tops. 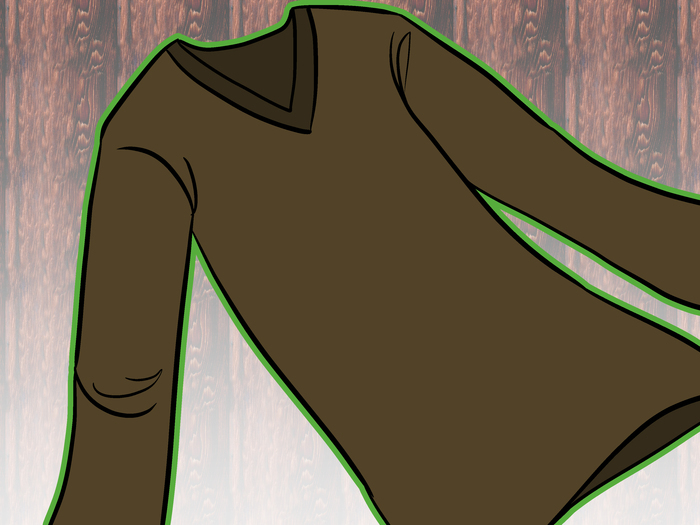 Katniss wears lots of v-necks. To wear tops like hers, wear lots of brown and black v-necks, or regular tees. Belts. Katniss wears big brown belts. Not over shirts, tops or jackets, but on her pants. 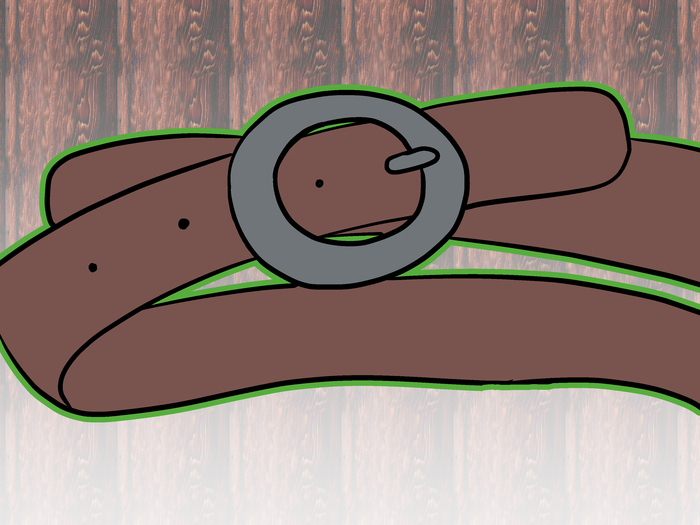 Try buying a belt (stick to just one belt only) that is big, brown, and goes with the rest of your outfit. Also, try tucking your shirt into your pants. Pants. 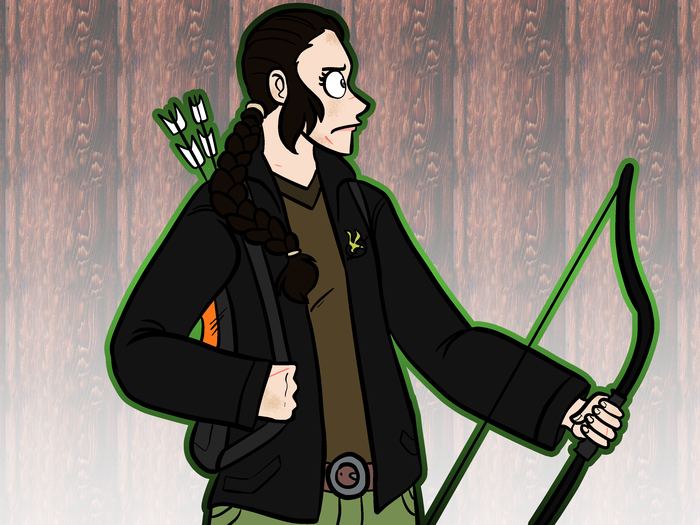 Katniss wears lots of cargo and black pants. She never wears jeans and you can see her with black pants and white stripes, light green pants, and more! To wear pants like hers, try wearing green pants with a brown belt and shirt. 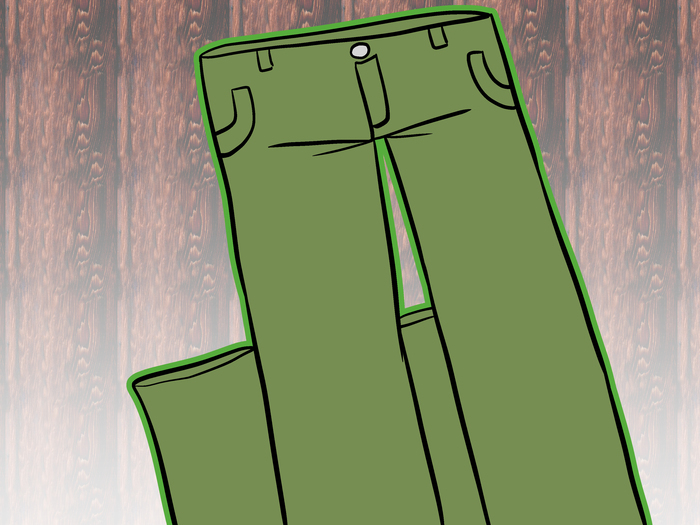 Tuck your shirt in and consider wearing light green, black, or brown pants. Shoes & Boots. Katniss wears boots. 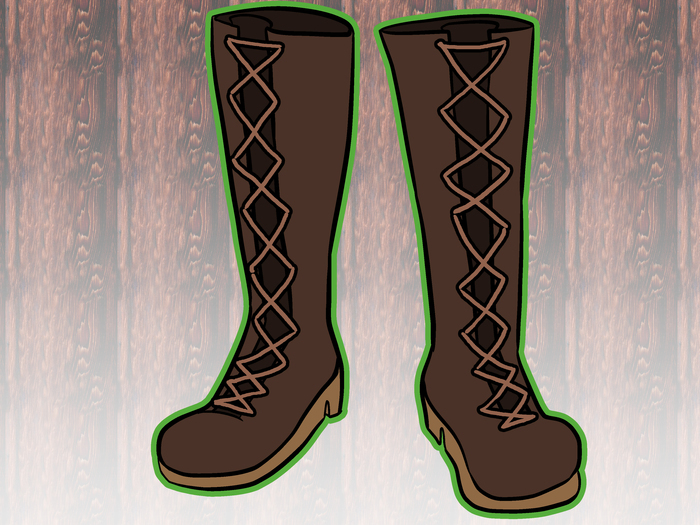 She wears brown boots up to her knee, or brown combat boots, also up to her knee. To wear shoes like hers, be sure to wear boots. You can wear dark brown combat boots almost to your knee or at your knee. You can also try regular beige boots up to your knee. Mockingjay Pin. Katniss' Mockingjay pin is famous. If you want one of these, wear it on the left side of your shirt everyday, just like Katniss does. Gold is the best color for the pins because they also sell silver ones. You can get these online at Amazon, Toys R Us, or even Walmart for $14 or much less. Hair. Katniss has dark hair. Her hair is black in the books and dark brown in the movies. It is about below her shoulder when she has it at that famous side braid, so it is at a long length. To get her color, you can use dye, temporary dye, or even a wig. To get her length and style, try growing it out to make it somewhat long. She rarely has her hair down and when it is down, it is wavy in the movie. In the books, her hair is described as being straight. Have fun and be yourself! Colors. 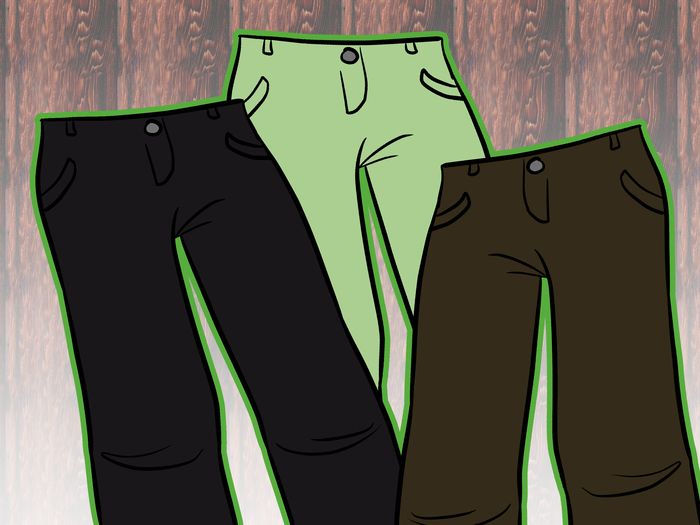 Try to stick to wearing brown, black, and rarely some light green pants. Jackets. Try wearing a black jacket or brown jacket. Katniss is famous for her brown jacket in the first scene of the Hunger Games. 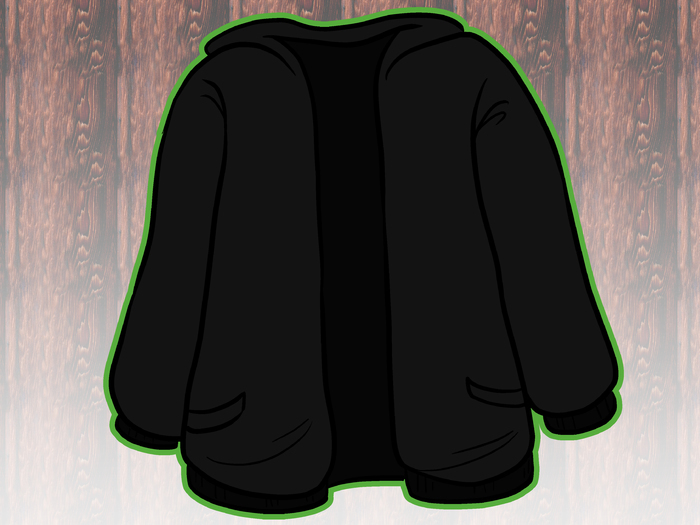 This is such a great jacket, it took them three days to decide if they want it black or brown! You can wear that big brown jacket, or a black jacket with silver and orange duct tape. Nails. 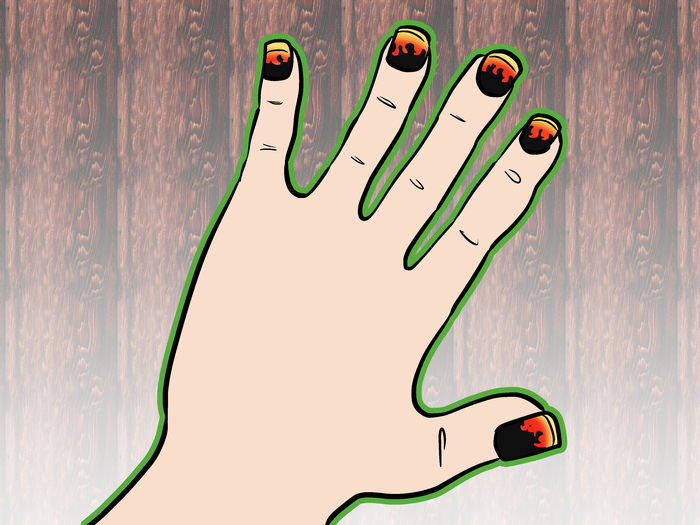 Leave your nails plain, or you can paint flames on them like Katniss had during the tribute parade. Katniss clearly cannot afford nail polish, so if you want to paint your nails, paint them black with orange flames that have a yellow rim. Try looking up some designs for nails that Katniss has had. Jewelry. If you want to be like her, can't blame you! Do not wear jewelry. Katniss always has self confidence . Show the belt by tucking in your shirt into your pants. Wear dark brown combat boots almost to your knee, or beige boots to your knee. 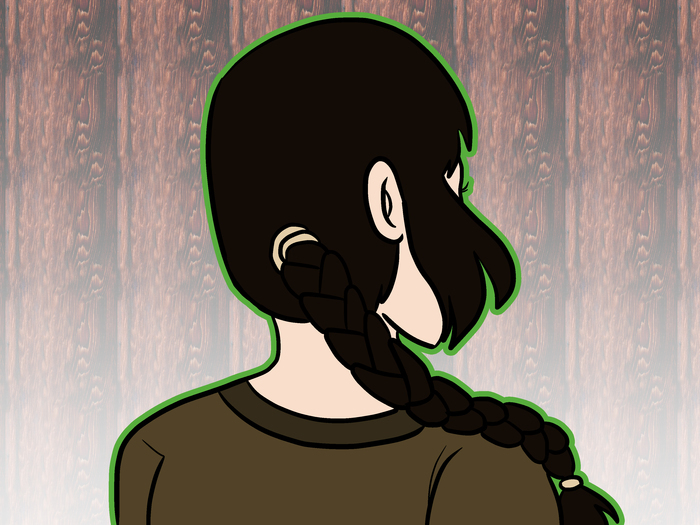 Katniss has a French braid starting on the left side of her head and going around to her right. Be strong! Love your family! And try not to copy too much about Katniss! Keep your nails plain or paint them the flame design that Katniss had during the tribute parade. 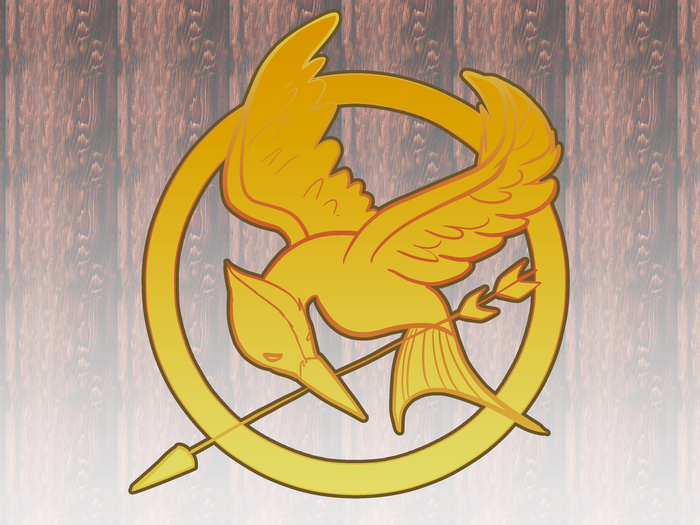 Consider getting a gold Mockingjay pin and wear it on the left side everyday. Stick to a certain clothing item and make it your signature. Making a fake bow and some arrows adds a finishing touch!